During the summer months-and all year round, it's important not to limit sun protection to only the face and body. Lips need protection too. Lip balms that contain SPF can do the job, but sometimes I crave a little color as well. Unfortunately, there aren't too many lipsticks I have come across that offer both color and sun protection. 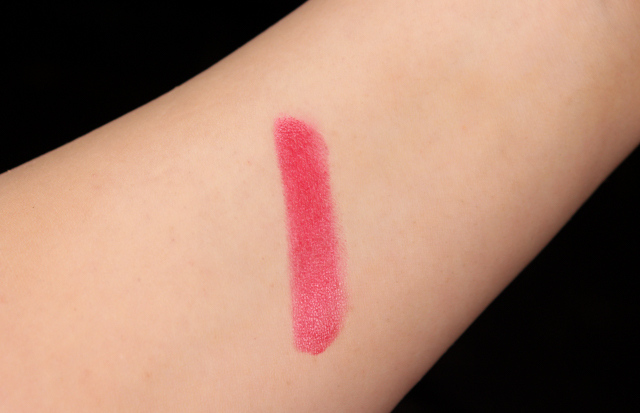 But when Lipstick Queen's Endless Summer Lipstick in Aloha landed on my desk, I couldn't have been anymore excited. It's just what I was looking for! Lipstick Queen Endless Summer Lipstick in Aloha. How pretty is the orange tube? Aloha is a fiery red that is on the sheer side, but subtly pops against the skin. If you want a little more color payoff though, it can easily be built up. The finish is comprised of a glossy sheen that looks lovely and flattering on lips. This lipstick contains an SPF of 15 which protects against UVA and UVB rays, and it's infused with ingredients like Vitamin E, Candelilla wax, and natural oils, to help nourish and moisturize lips. 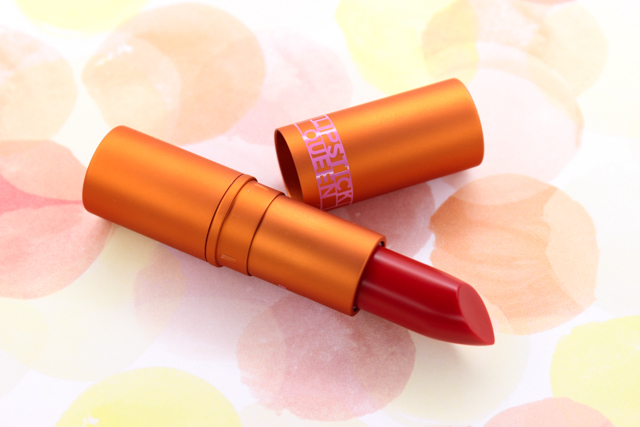 Lipstick Queen's Endless Summer Lipstick in Aloha feels amazing on the lips. It goes on like a dream, thanks to it's super creamy texture. I do detect a faint sunscreen fragrance to this lip color, but it's barely noticeable and not really offensive. As for longevity, I find myself having to reapply Aloha after about 2-3 hours. As expected, since the formula does have a slip to it. 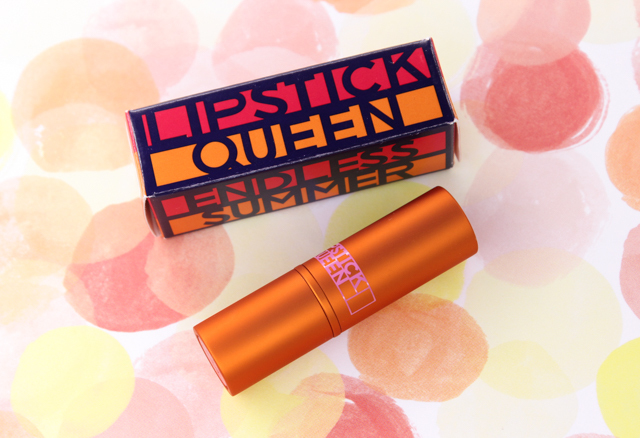 If you are on the market for a wearable, moisturizing lipstick that offers sun protection while imparting a pretty hint of color, definitely check out Lipstick Queen's Endless Summer Lipstick in Aloha. If red isn't your thing, there are three other lovely color options available that look just as gorgeous as Aloha. I may have to check those out! Which lip colors are your favorites when it comes to sun protection?